Living in the Shadow of Ani. Eastern Turkey. Herder. Plains around Ani, Eastern Turkey. A herder grazes his cattle on the plains around the ancient ruins of Ani. The plains are at high altitudes, many ranging between 6,000-8,000 feet above sea level. 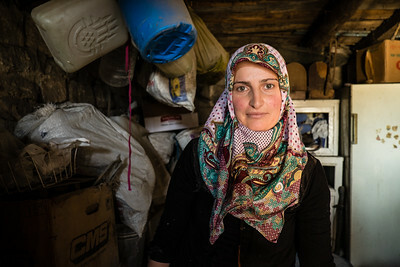 Many of these herders and farmers have lived and worked in the land disputed between Armenia and Turkey. Even amongst the guard towerx and ancient ruins, their daily life continues much the same. 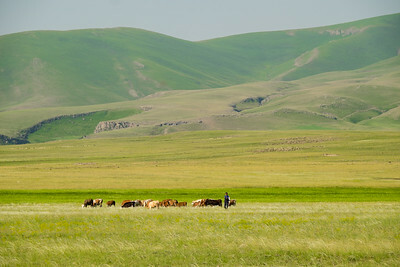 A herder grazes his cattle on the pastures around Ani. 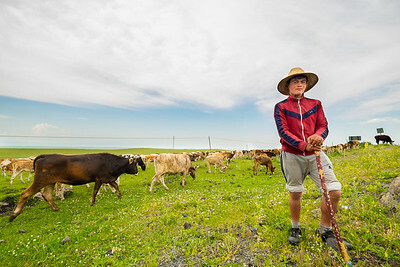 There high altitude pastures in the province of Kars are used by local herders whose families have herdered cattle in these areas for centuries. 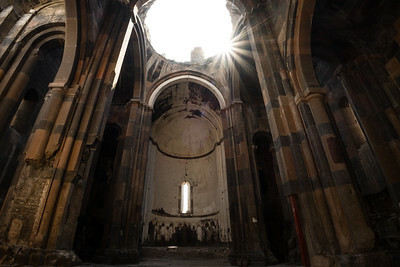 The ancient city of Ani is a ruined medieval-era Armenian city now situated in Turkey's province of Kars. It is located next to the closed border with Armenia. From 961 AD to 1045 AD, Ani was the capital of the Bagratid Armenian kingdom covering present-day Armenia and eastern Turkey. Nicknamed the "City of 1001 Churches," it stood at the crossroads of many trade routes. At the peak of it's power and influence, Ani's once magnificent churches, palaces, and fortifications were some of the most technically and artistically advanced structures in the world. During Ani's golden age, its population was around 100,000 people. Today it's a collection of crumbling buildings and walls scattered across miles of farm land on the Armenian-Turkish boarder. 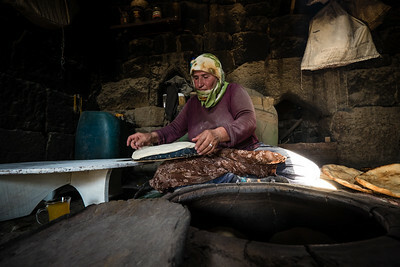 A local woman living next to the ruins of Ani prepares sheep milk to be turned into cheese. Locals living in this region still live in many ways their ancestors have for hundreds of years. 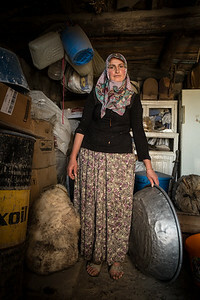 This woman prepares the cheese in the big metal basin and then stores it in the sheep skin to curdle and become cheese. 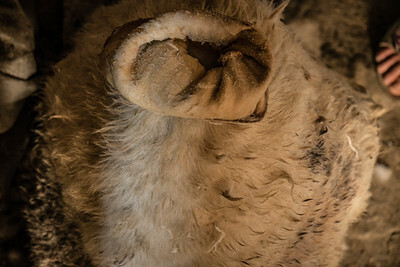 Locals living around the ancient site of Ani still make cheese in the traditional way, in a sheepskin bag. Kars Province, Turkey. Farmers harvest honey in the fields around the ancient ruins of Ani. They will intentionally harvest honey at different altitudes because it tastes different. 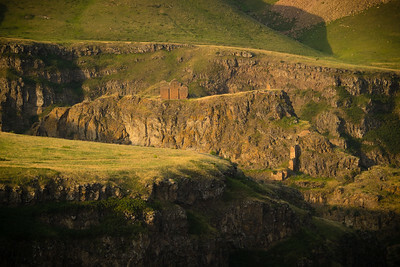 A local family expands their home in a village near the main ruins of Ani. Locals still use materials found in the area to construct their buildings. Kars Province, Eastern Turkey. 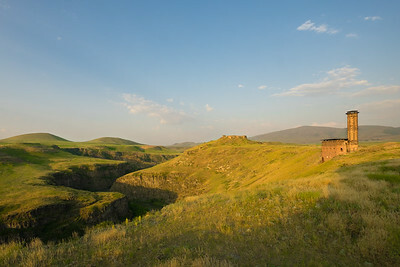 Fortification walls of Ani. Eastern Turkey. Nicknamed the City of 1001 Churches, the main Ani complex is still partly surrounded by its fortification walls. These walls are thick, with towers and battlements. At it's peak of power, Ani had over 100,000 inhabitants. Near Kars, eastern Turkey. The fields around Ani are used to grow a variety of foods. Locals still use traditional farming methods to grow food. Bee hives in the fields around Ani. Eastern Turkey. 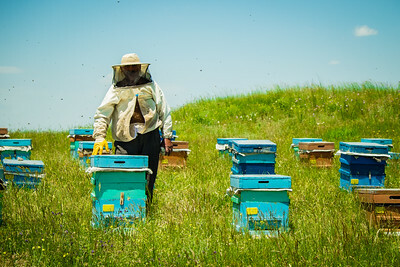 Local farmers use the fields around Ani for bee hives and cultivating honey. They will place the hives at different altitudes because that changes the flavor of the honey. 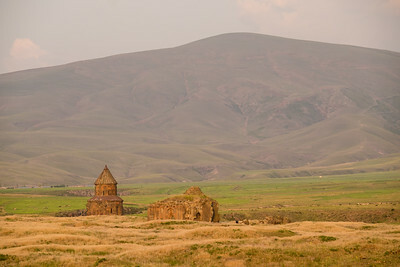 The Mosque of Minuchihir in ancient Ani overlooks a steep gorge. It is named after its founder, the emir Minuchihr. He ruled Ani in 1072 AD. The Citadel is in the background. Toppled column head from the basilica. 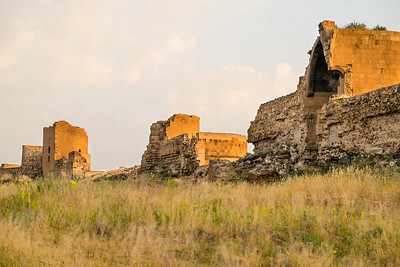 Today Ani is an archaeological sites that is being conserved and maintained. Mostly what remains are churches and fortification walls. 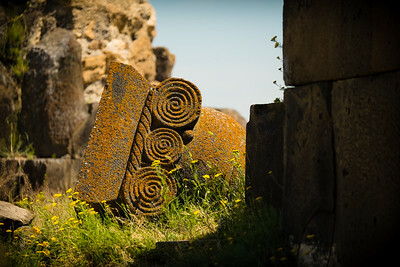 This image is of a toppled column head from the basilica. 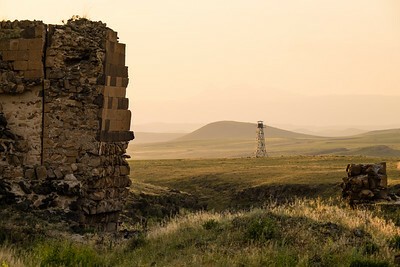 An abandoned guard tower outside the main wall of Ani stands as a reminder of the Russian-Armenian-Turkish conflict along these borders in recent years. Until, 2013 travelers could not visit this region. 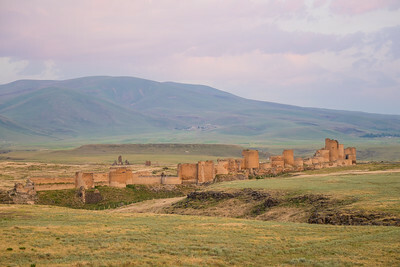 The ruins of Ani are still under contention between the Turkish and Armenian governments.An abandoned guard tower outside the main wall of Ani stands as a reminder of the Russian-Armenian-Turkish conflict along these borders in recent years. Until, 2013 travelers could not visit this region. 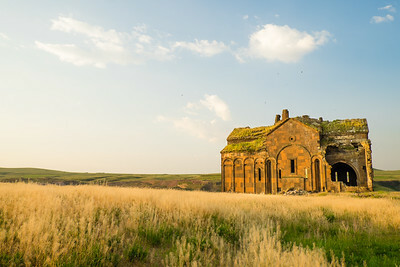 The ruins of Ani are still under contention between the Turkish and Armenian governments. Off in the distance are the hills of Armenia.